Flying to Australia is about to become much less of a challenge when a new direct 17-hour Qantas flight from London to Perth launches on March 25. Not only will the new flight put Australia’s sunniest city firmly on the tourist map, it will also help the city act as a gateway, opening up the rest of Western Australia to clients. The state has so much to offer, from incredible coastline and marine life to the flora, fauna and geological wonders of the Outback, making it ideal for a self-drive trip. 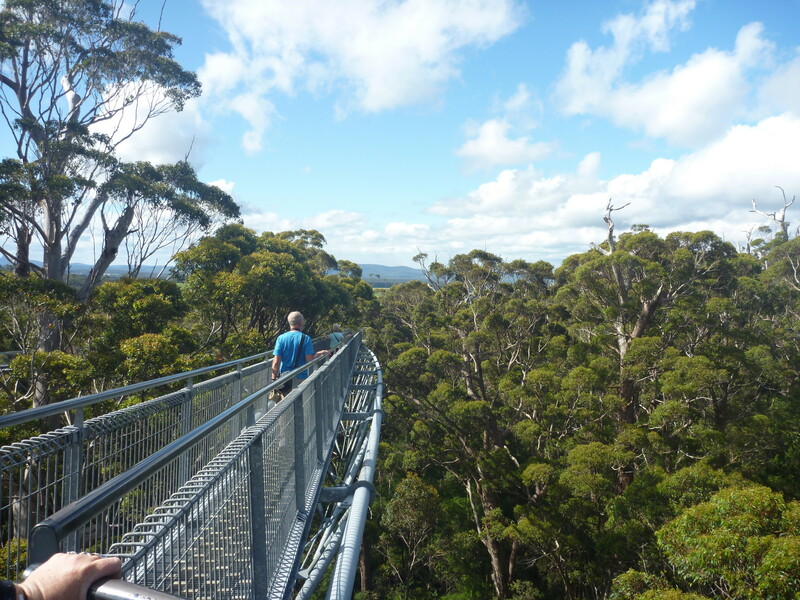 Here we round up experiences to recommend to visitors to Perth and its surrounding state. Easy-going Perth is blessed with sunshine, gorgeous beaches, world- class dining and a hip, urban feel. It’s also a city that’s reinventing itself, with new rooftop bars, hotels and attractions constantly springing up. “Perth now offers some of the best value hotel and short-stay accommodation in Australia following the raft of new and refurbished properties that have opened in the Central Business District and surrounding urban and coastal areas,” says Katie Warburton, destination manager at Austravel. New hotels this year include the QT on Barrack Street in the CBD and DoubleTree by Hilton in Northbridge. The RitzCarlton will also make its first foray into Australia in 10 years with the opening of a 204-room hotel at Elizabeth Quay next year. Vanessa Dean, product manager at Carrier, recommends a stay at Como The Treasury, which is new for the operator this year and is ideally located in the revitalised historic heart of Perth, near Elizabeth Quay’s many bars and restaurants. From the quay, clients can now take a camel ride from Barrack Street Jetty along the Swan River and back, while guides recount the history of the area. Prices start from $45pp (camelwest.rezdy.com). Also suggest a visit to the new Perth City Link project, which connects Perth with the Northbridge entertainment precinct, near Perth Arena. At the centre of it all is Yagan Square, with a design that celebrates Western Australia through gardens, water features, public art, and a digital tower and canopies for light, art and video projections. 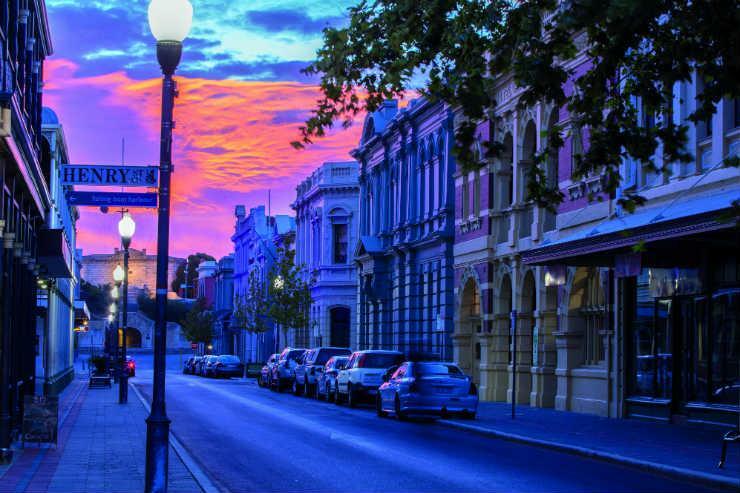 Thirty minutes south of Perth’s centre is the historic port town of Fremantle, which fuses colonial remnants with a hippie vibe and a buzzing arts and coffee culture. Clients can drive there, making a pit stop at the beautiful beach of Cottesloe for a swim, or take a cruise from Barrack Street Jetty. From Fremantle, clients can hop on a ferry to Rottnest Island, a car-free haven peppered with more than 60 beaches, coral reefs teeming with tropical fish, and history-packed buildings. Make sure clients grab a selfie with the island’s celebrity resident, the quokka – a cute marsupial that’s endemic to Western Australia and has been dubbed “the happiest animal in the world” because of its grin. If clients want to bed down on the island, suggest Pinky’s Eco Retreat, which opens this summer and is made up of 86 glamping tents, as well as a bar, cafe and restaurant. If camping isn’t their thing, there’s Hotel Rottnest, which has recently undergone a major refurbishment. For foodies, a 25-minute drive to Swan Valley from Perth is a must. This is Western Australia’s oldest wine region and is home to 40 vineyards, many with cellar doors offering tastings of the region’s wines. There are also countless restaurants serving fresh local produce. Trails Western Australia has recently created a collection of food trails which agents can recommend to their clients, including the Swan Valley Cider and Ale Trail and the Swan Valley Sweet Temptations Trail. The latter includes pit stops for clients to sample everything from macaroons and nougat to handmade chocolate and honey straight from the hive (trailswa.com.au). 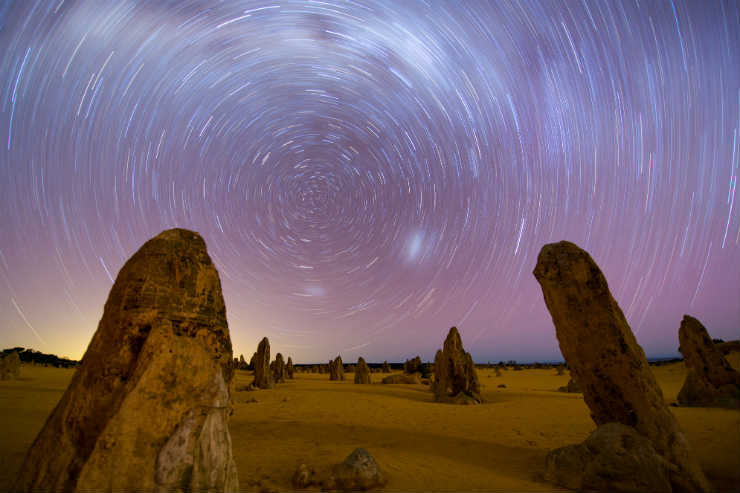 At Pinnacles Desert in Nambung national park, clients can drive through an otherworldly landscape made up of thousands of limestone shards formed over millions of years, which jut out of the sand. The nearby Pinnacles Desert Discovery Centre explains the area’s mysteries and history in detail, and offers 45-minute-long walks through the pinnacles. On the two-hour drive back to Perth, clients can retrace their journey via the Indian Ocean Drive, stopping in Lancelin for an afternoon of sandboarding on WA’s largest white sand dunes. Boards cost $12 to rent and can be pre-ordered (lancelin.com.au). The Margaret River region located south of Perth is packed with gourmet delights and dramatic landscapes, and is perfect for those looking to escape the hustle and bustle of the city. Food lovers should time their visit to coincide with the Margaret River Gourmet Escape taking place November 15-18, which returns this year for more food and wine with a scenic backdrop. Abercrombie and Kent has launched a new tour this year that celebrates the region’s foodie heritage. Perth & Margaret River: The Gourmet South West includes a private wine tasting by the river and takes in Pemberton, Albany and Perth. Prices for the six-day trip start from £1,675pp. Minutes away from the Margaret River at Aravina Estate in Yallingup is the new Western Australia Surf Gallery, the state’s first collection of surfing memorabilia including historical surf pictures, surfboards and trophies. Entry is free and the gallery is open every day between 10am and 4pm. “Pemberton, located deep in the Karri Forest and about three and a half hours’ drive from Perth, is another exciting experience,” says John Parker, Australia product manager at Premier Holidays. “There is so much to do here: top experiences include an eco-walk through the forest or joining an Aboriginal guide to discover the history of the ancient people.” Parker also recommends nature lovers drive to Walpole-Nornalup national park to see the Valley of the Giants, where clients can marvel at four species of rare eucalyptus, giant tingle trees and take an impressive treetop walk. 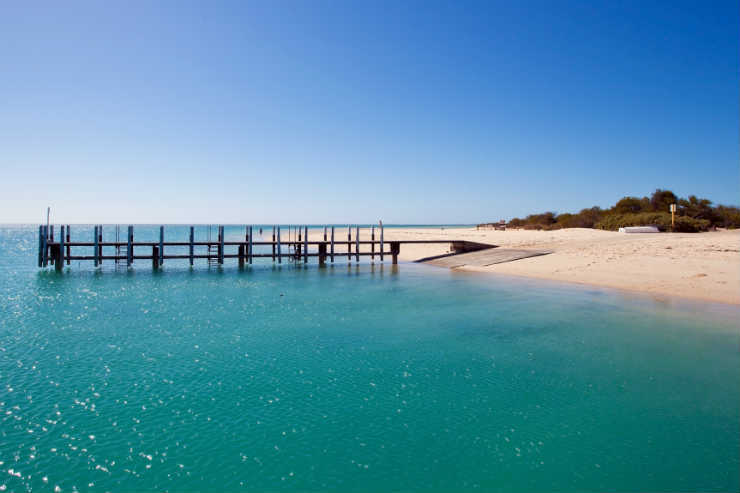 “For clients interested in wildlife, Monkey Mia, situated on a unique section of the World Heritage coastline in Shark Bay, is ideal, particularly for younger visitors,” says Parker at Premier Holidays. Due to the eight-hour driving distance from Perth, Parker suggests staying a night in the town of Geraldton, to break the journey in two. If clients have visited Australia before and want to explore off the beaten track, the Kimberley is a great option. “The Kimberley is popular for those who are looking for adventure but still want to experience a touch of luxury in the wilderness,” says Angela Waite, head of sales and commercial at APT. She recommends the El Questro, Gorges and Purnululu small group tour, which is the company’s most popular Kimberley tour for the UK market and includes a two-night stay in Perth before taking a two-and-a- half hour flight to Broome. Highlights include watching the sunset over the Bungle Bungle Range and relaxing in the thermal pools of Zebedee Springs situated in the 700,000-acre El Questro Wilderness Park. Prices start from £5,645pp for 15 days in a twin room.